Just a quick note to let you know the wait for the book—all 5 pounds of it!—is over. It is now in stock at Smokingpipes.com for those in the US and will be available shortly from Smokingpipes.eu for friends in Europe. Many thanks to everyone who has supported, nurtured and encouraged the book and blog for the past six years. I know you thought the day would never come. Sometimes neither did we. 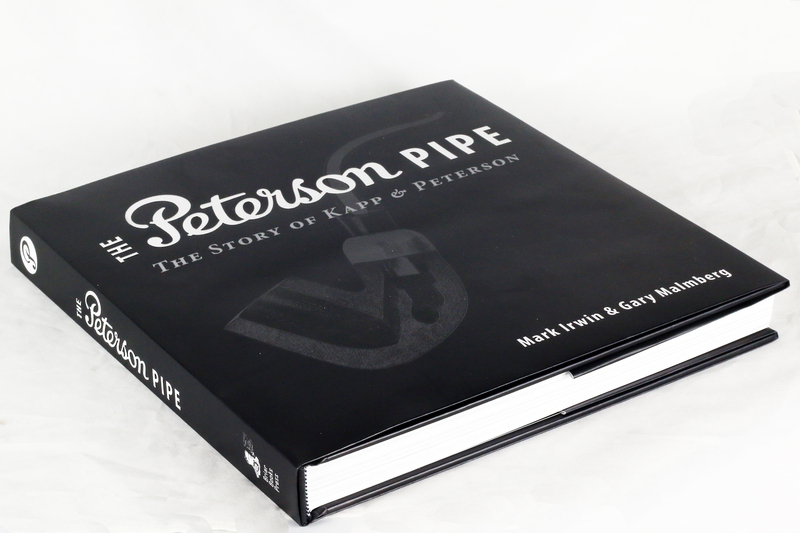 We’ll be in Chicago next month for the launch and present “The Making of The Peterson Pipe Book” at the signing. Illustrator and fellow Sherlockian Larry Gosser, who did some of the illustrations for us, will also be there. We’ll do a west coast launch at the Las Vegas show in the fall and present “Peterson’s Traditions Lost and Found.” Come talk Petes with us so we can thank you in person! Kinski, Mario Lubinski at Lubinski.it should have yours in stock by now. Check with him or with your favorite Italian shops. I have already ordered my copy. but unfortunately the author’s autograph is missing! Kinski, who is carrying it in Italy? I’ve got a few friends in Europe asking me. Mark, if anyone deserves a signed copy for patience, it is you, my friend. As we’re both in Texas, if you can’t make the shows, we will make this happen whenever it’s convenient to you. Now the wait begins for its arrival! Sweet sweet sweet. I hope this doesn’t sound prideful, but I hope you enjoy it as much as I am. I can’t believe it came out so well. Dang, it had to go “live” on a non-payday week🙁. I hope they have plenty. I hear that about non-payday week. My “annuity” keeps me counting all the nickels and dimes that fall into the sofa. I don’t think you have to worry–the book was produced in a spirit of abundance, and those like you who supported it all this time will certainly find one in their hands. Hooray! Placing my order now – BUT, I’ll need it signed some point as well. Will we meet in Chicago or Vegas? If not, we’ll make arrangements. I just ordered mine. Shipping to Canada was too much for me to bare so I had it shipped to my Dad in Arkansas. I’ll be visiting him this summer so will need to have a little patience, but as we know, good things come to those who wait. Speaking of patience and good things that come with it, I’ve been waiting all these years to fire up my Founders Edition Pipe, knowing it would be christened while cracking open the pages of this amazing labour of love on your and Gary’s part. Thanks to you both for what is bound to be an exceptional journey for any Pete nut. I just can’t wait, but sadly will have to. Marc, the photos you donated are THE BOMB. I had to put one of them full page where the Coda begins. I’m truly sorry you have to wait, but can’t thank you enough for your enthusiasm and support. I’m really looking forward to seeing them in print, it’s really an honour and I must thank you guys for including them in the book and my good pal Scott Robert Collins for taking the photos for me. One year I’d definitely like to make it to the Chicagoland pipe show and if you guys will be there I’d love to get my copy signed as well, that would add an extra layer to the greatness of the whole thing. Thanks Mark. It’s going to be great seeing them in print. It really is an honour to have them included in this great tome and I must thank you guys for including it and to my good pal Scott Robert Collins for taking these great photos for me. One year I hope to make it to the Chicagoland pipe show and if you guys are there I’d love to get my copy signed as well, that would add yet another layer of greatness to this excellent book. Yes, thank Scott for us, and we’d be delighted to sign the book, whenever, wherever. Great! I look forward to meeting you both. I’ll pass along the thanks to Scott as well. Also,I didn’t think the post went through the first time, my apologies for the double content. Sincere congratulations to you, Mark. This must have seemed almost like giving birth! A long wait, then…it’s finally here! It looks a substantial tome and I know that its contents will be first-class. Very well done, sir. This has been a long haul for you. I hope that you reap the due rewards. I shall be looking for smokingpipes.eu to check the availability. In the meantime, may I wish you a good long rest from bookish things (at least for a while) and a few well-earned pipes in celebration. Thanks, Steven! I’m actually working on two new pipe projects right now, but nothing like the scale of scope or interest of the Peterson book. It’s all play, not work, so it’s all good, and hearing that pipemen are enjoying the book will be the best reward I can get. Ordered mine before I finished reading your post. See you in Chicago ! Excellent, James. Can hardly wait! Thank you so much for all your work on this Mark. We greatly appreciate it! And Long Live the XL90 and B30! Quite welcome, good sir. And “amen” on the XL90 and B30!! Can you please let me know how I can get a copy of this book with the signature? Hi Jerry. Let me ask the publisher, Gary Schrier, since I’ve had that request several times already. Would it need to be personalized? If so, I’ll ask him that as well. It’s certainly something we could do at the Chicago show next month. Jerry, the publisher said the best way to do this is attend either the Chicago pipe show or the West Coast show in Las Vegas this fall. We’ll also be in Dublin over the summer, if you live across the pond. The only other way I can think of is for you to mail your copy to me with return postage, which I’d be happy of course to do for you. You’re not going to believe how cool your section looks, good sir. I truly wish you could attend the Chicago show or the Las Vegas show–you’ve been such a large part of the book and the blog. But if not, then I think we’ll have to run an auction to pay for postage from North Carolina to me to you. In the US it runs $13 (UPS ground) or $17 (USPS media), or something like that, from Smokingpipes. Five pounds is a lot of book to transport. Just received a copy. Given your well written and detailed blog posts, my expectations were very high for this book. I’ve only had time to thumb through at this point, but what I’ve seen so far is absolutely extraordinary. This is a MUST HAVE. Congratulations and, most importantly, thank you for this stunning contribution! Thank you, good sir. Your appreciation is the best payment we could receive! Thanks Mark unfortunately when Chicago is happening I am in Nepal and India for work and a bit of followup holiday. When the Vegas show is happening I will be in Northern Italy for work…. work just gets in the way of these fun times! 😉 I look forward to seeing it all together. I can definitely pay the postage to you and then to me as well! Not an issue. Just tell me how and when and I can transfer the payment to you. Thank you. My new Peterson Pipe History Book has just arrived! It’s a thick book with lots of pages to enjoy. I got the THE book ordered yesterday, and it’s on its’ way. Is it Christmas in April? It has felt like Christmas to me, John, for a few weeks now. Thank you Mark for all of you and your compatriots hard work. This is the finest book I have had the pleasure to read in a long time. The introduction by Mark Irwin speaks to me and puts into words what I have been feeling about the pipe and its traditions. I cherish this book. The Peterson System is my favorite and to have this colorful, historical reference is a blessing. Thanks so much, Steve! I will pass along your words to my co-authors, and I’m so glad you like it. I just had time to slightly peruse it while creasing the pages to save the spine. I use to work in a library and have never forgot this essential step when opening a new book. There is almost nothing worse than having a brand new book with a cracked spine. Thanks for all you hard work, I hope it pays off in spades. Thank you. Your compliments are good payment, indeed! 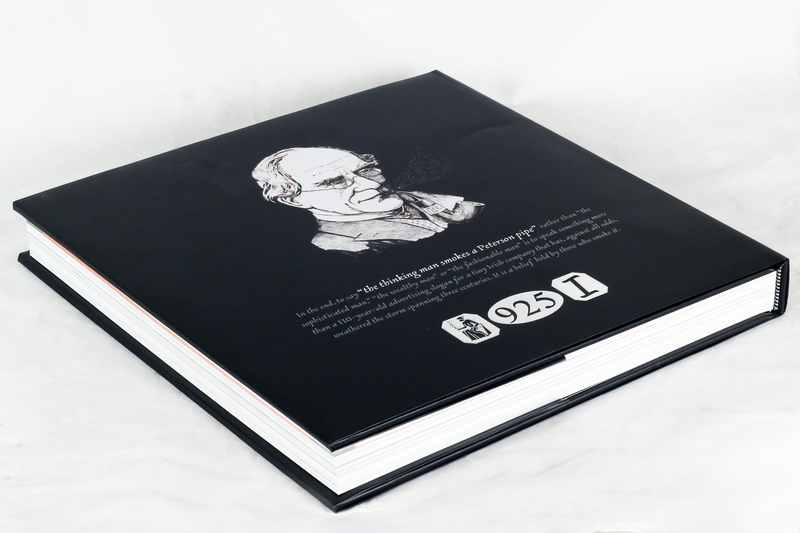 Thank you so much for all the hard work that went into the creation and production of this book. I love all the photos and the design with the written text. T-LIP(The Long Island Pete) fully endorses the book and recommends if you own a Peterson, you have to have this book. Thanks, T-LIP! We’re really glad you’re finding the book enjoyable.